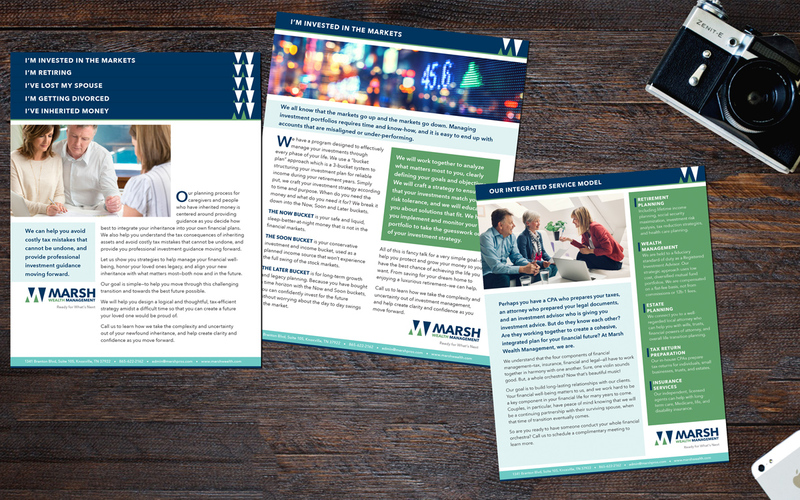 Knoxville’s Marsh Wealth Management was in need of a new print piece to help them communicate the services they provide to a variety of audiences. Rather than utilizing a traditional brochure, New Frame Creative developed a series of five “stepped sheets” that can be stacked on top of each other and shared with clients by placing them inside a folder. Marsh Wealth Management now uses these eye-catching pieces at all of their speaking engagements and new client meetings.